I went to cruise Kyoto for a weekend to check out what is a very sacred tradition in Kyoto. 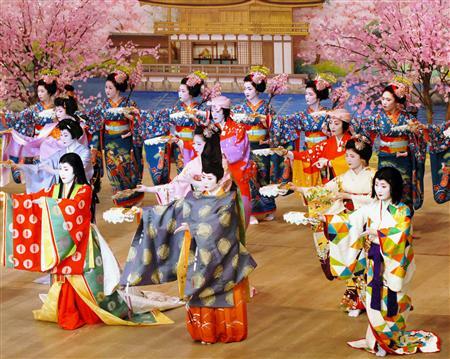 Twice a year all the Geiko girls conduct on exhibition of thier Geisha dances. Normally it is very exclusive, and to be able to watch Geisha girls perform, you need to have some buff connections to get into a tea house. So this year my friend and I went there to check it out. The choreography and performances are awesome. Makes Janet Jackson’s Rhythm Nation look like nuthin. Anyway this was a totally mind blowing experience. To have such cultured pampering by a woman who I have never met, but from the moment we met, she unquestionably seemed as if she was indebted to me. Strange experience, I’ll never forget. You are currently browsing the THE FFUJE blog archives for April, 2007.